In Division 2, bottom of the league Hampshire travelled to the Swalec Stadium to play Glamorgan in a low scoring game. Glamorgan surprisingly won the toss and elected to bat. Glamorgan declared on 103-9, Bragg top scoring with 45. In reply Hampshire made on 156 and was not able to capitalise on Glamorgan’s troubles but waters really bowled well taking 7 wickets for Glamorgan. The second inning’s however was better for both sides, Glamorgan made 256 with a fantastic 104 from Wright but this knock was not to be a winning one as Hampshire made 204 of 45.5 over’s. However they did lose 8 wickets in the process and only just managed to cross the line as up till this point the game was wide open. 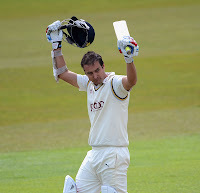 Hampshire won by 2 wickets in a rain affected game. At the County Ground, Leicestershire were put into bat but and made a good total of 324 in the changing conditions with Sarwan and Cobb both making a fantastic 105 runs. In reply Derbyshire crumbled to 180 with white tearing his way through the order taking 5 wickets in total. In a rain disrupting game, Leicestershire knew they needed a good amount of runs and then declare and they got exactly that making 169 -4 and then declaring. Derbyshire however were not going to give up easily and saw the game out to a draw on 91-0. This draw saw Derbyshire stay top. At St. Lawrence Ground Kent welcomed Gloucestershire to their ground only putting them into bat when they won the toss. Gloucestershire made 255 in their first innings but Kent could only manage 150 in reply mainly due to W Gidman efforts with the bowl as he took 5 wickets. Gloucestershire improved their position when they made 257-7 declared in their second innings, but rain came to Kent’s rescue as they made 94-2 before the heavens opened leaving the final day abandoned and a draw for both teams. 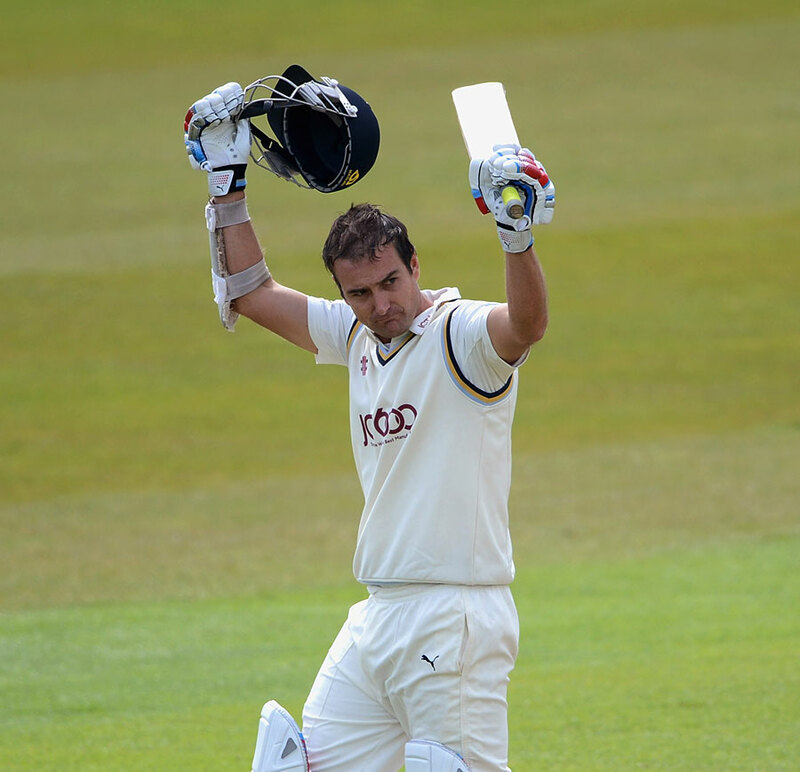 Phil Jaques hit 126 at the Headingly. At Headingly, Yorkshire posted 246 with a fantastic knock from Jaques who made 126 before he was dismissed of the bowling Chambers and caught by Petersen. Essex made 199 with two Englishmens both doing extremely well, Bopara 117 not out and Sidebottom who took five wickets bowling extremely well. Yorkshire then declared on 214-4 but there was no time left in the game for a result and the game ended with Essex 26-2. Another draw. Over the two divisions there were 8 matches but due to the rain there was only 2 wins and 6 draws. April showers have well and truly set in. Derbyshire remain top of the tree but at the bottom Hampshire lift themselves of the bottom of the table and up into 6th.